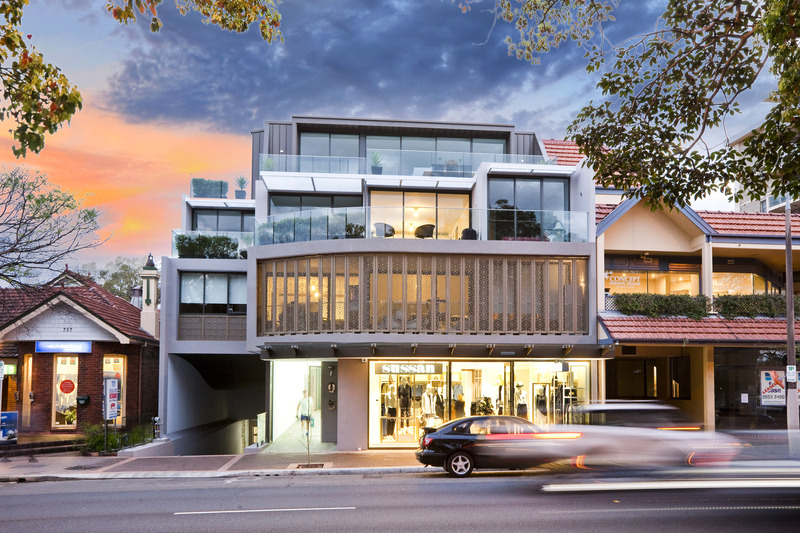 Situated at a prominent corner within the Mosman Junction, the Abode apartments float above the ground level retail, utilising seamless glazing to fully activate at its street scene. 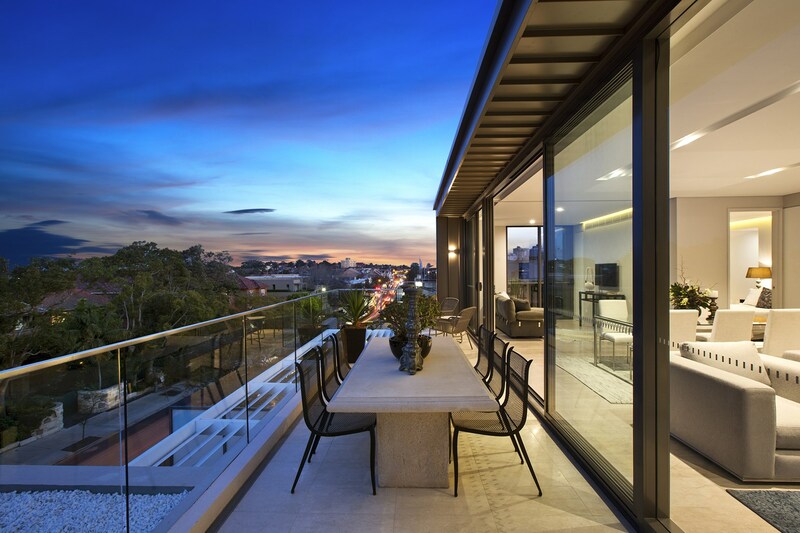 This residential of 15 apartments has considered the immediate surrounding and its eclectic setting with a terracing approach for the upper level form, as well as incorporating a statement-making element in the front façade. A curvilinear form on level 1 provides a relief along the southern edge where it terminates against a larger building plane; the curve is furthermore accompanied by a series of pivoting decorative screens that successfully established a focal point along Military Road. The top-level apartments are clad in metal sheeting to differentiate with a lightweight palette and assists the visual emphasis on the dominant curve. 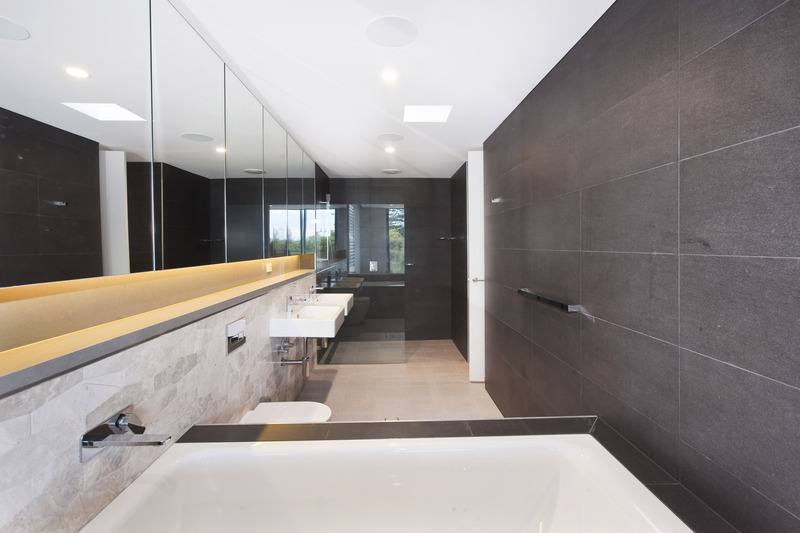 Sustainable initiatives such as rainwater harvesting, energy-efficient electrical measures and extensive thermally insulated walls are incorporated to minimise the environmental footprint. 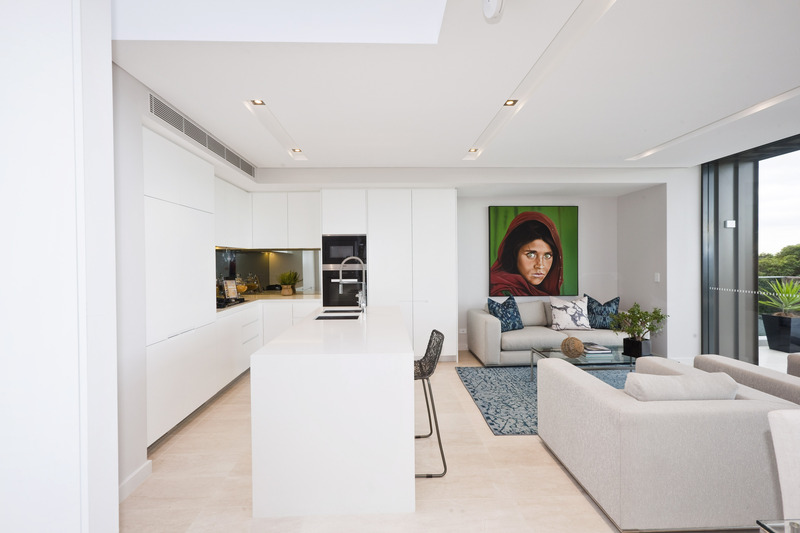 The design/construction utilises the principle of open-plan living space, well-positioned glazed openings and adopts thermal mass materials such as concrete walls for maintaining a comfortable environment for the occupants. 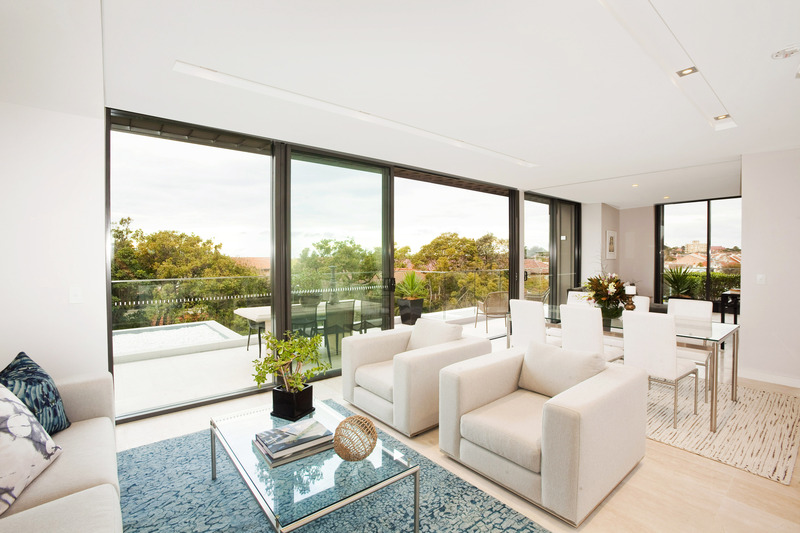 The lower number of apartments per typical floor enables generous balconies and openings to maximize natural cross-ventilation and solar access.